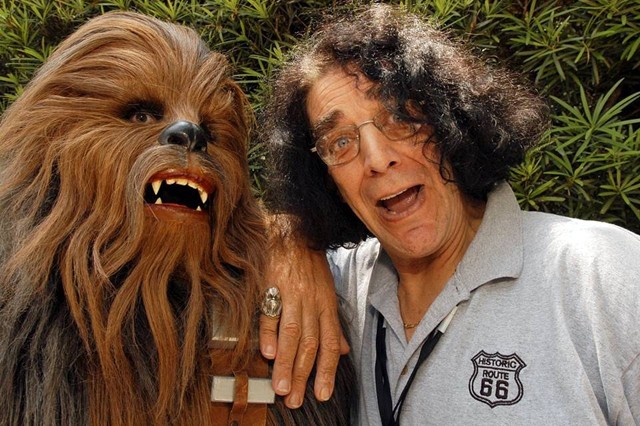 Recently plans for a documentary about the life of Peter Mayhew have been announced. Mayhew is best known for playing the character Chewbacca in the original Star Wars trilogy, and the planned documentary will be about how playing that character has influenced the actor's life. The movie will be titled Chewie, and will be directed by Kyle Newman, who also directed Fanboys. Like most actors from the original Star Wars trilogy, Peter Mayhew appears to have a genuine affection for the franchise and the role he has played in the series. Mayhew is no stranger to the convention circuit: he is often found signing autographs at conventions, and chances are if you've been to a sci-fi related convention, Peter Mayhew was one of the guests. I had the opportunity to meet him at one such convention, and I can tell you that he is both friendly and courteous to his fans. A documentary about his life which would include his current relationship with conventions is going to be very interesting to watch. After all, there are several documentaries for the Star trek fans, but not too much is available for Star Wars fans. It's about time they got their own documentary. Written by: Katie Shew at 12:12 p.m.